The Beauty Scoop! : Models Own - Beetlejuice Polish Collection! 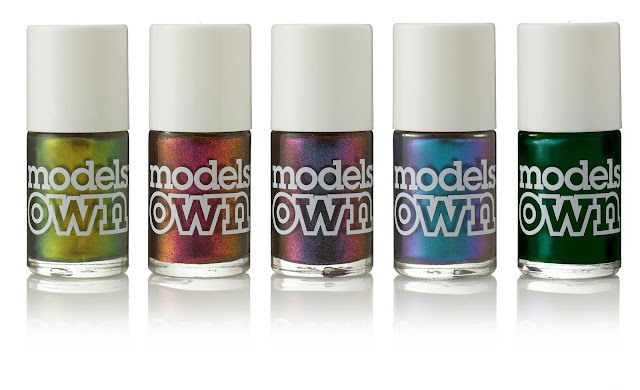 It's got to be said, I am LOVING the look of this upcoming collection from Models Own, especially the centre 3. 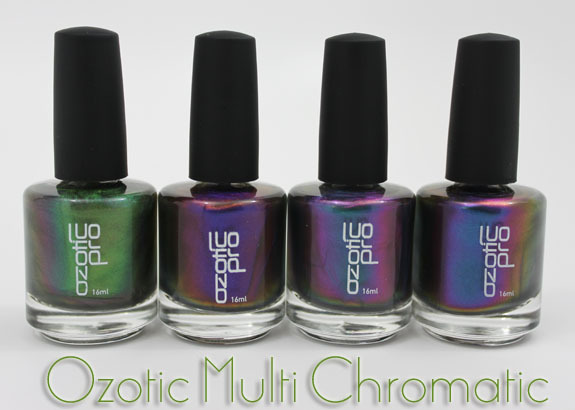 Actually, they remind me very slightly of the Ozotic Pro Multi-Chromatic Polishes that I have been majorly lusting over for a long time now (shown below)! Picture courtesy of Vampy Varnish (who also shows swatches of the polish via the link)! These should be available in November, and whilst I'm not one for wishing my life away, I really want it to hurry up as I don't think I can wait that long, ha! What do you think? I really want to try this collection!